The ConfTool website (https://www.conftool.com/isaga2018/copyright.php) will be closed after 20 April 2018. Therefore, all authors are requested to check your paper submission details in the isaga2018.com website for correctness, immediately. 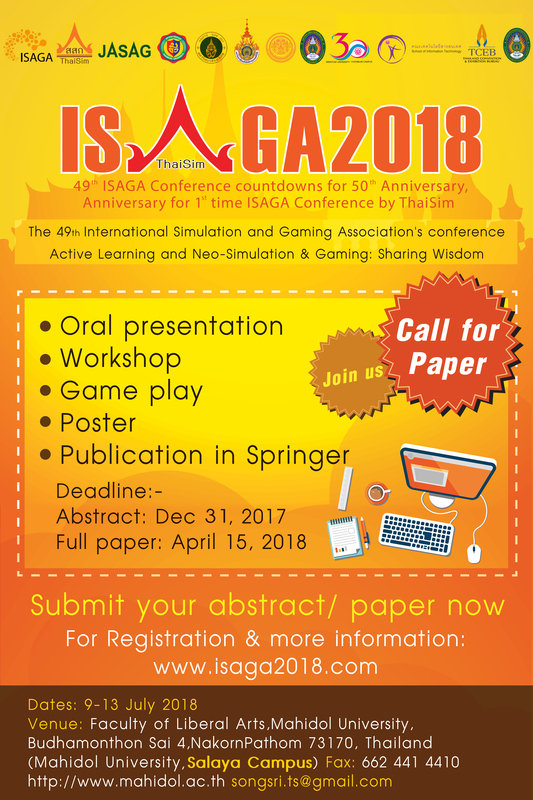 "Due to requests by many authors, ISAGA2018 extends the deadline for submission of full paper to April 20, 2018 before 24:00 hrs Thai Time." Owing to technical problems, the reviewer assignments scheduled for April 16 were cancelled. We plan to reassign them on April 21, 2018. We apologise for any inconvenience this may have caused. To be considered for a review, all full papers must conform with the Springer Format. 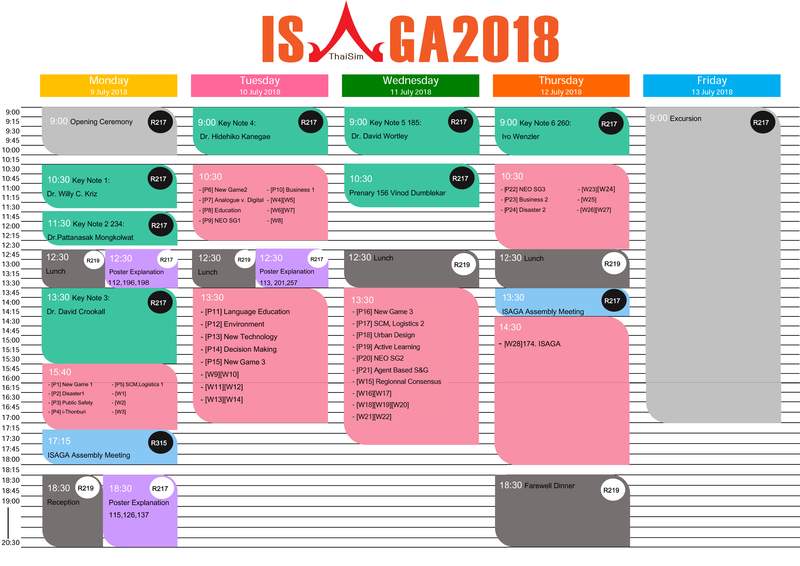 We ask all authors and speakers to kindly complete the ISAGA 2018 Conference Survey Form. 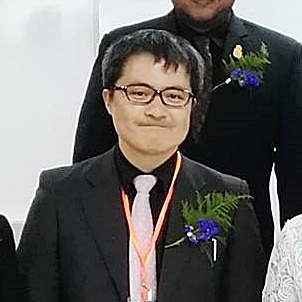 Please download the "Reviewer Manual" from our website, isaga2018.com. It has guidelines for reviewing the manuscripts that we would send to you, soon. We seek your cooperation in adhering to these guidelines within the deadline. ISAGA is a professional association for students, teachers, trainers, researchers, practitioners and other professionals. Its aim is to promote gaming simulation methods, including research, consulting, learning and teaching methods, such as traditional business and management simulation games, policy exercises, computer simulations and computer-supported simulation games, role play, learning games, scenarios, dynamic case studies, experiential learning activities, business-theatre, etc.. Welcome to ISAGA2018 Ten Countries, including Thailand, in South East Asia came together in an alliance called ASEAN Economic Community (AEC) in 2015. 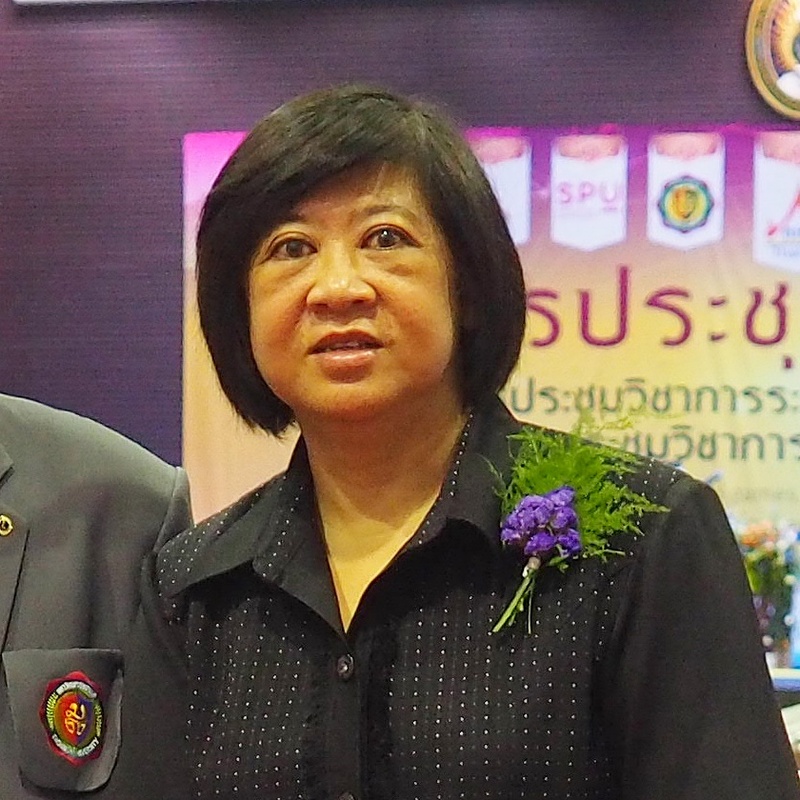 Higher education reform, harmonization, and developing new teachers are key issues of AEC. 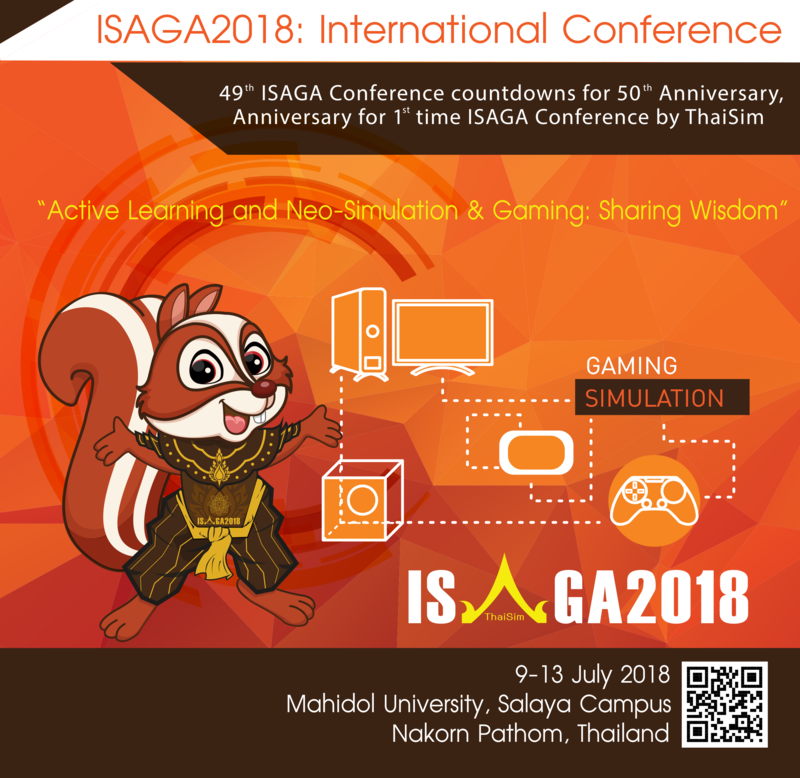 To celebrate Thaisim's 10th anniversary and to appreciate half century legend of ISAGA, we planned this conference as an opportunity to exchange the wisdom from many countries. 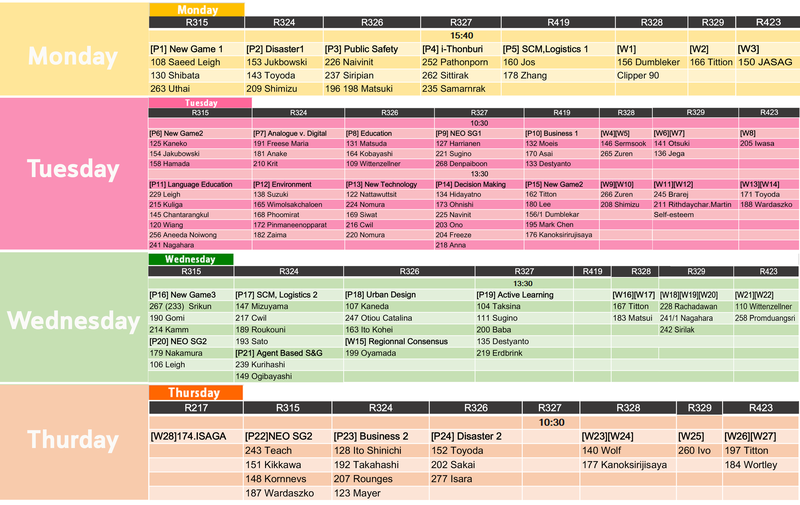 We will discuss the future of Simulation & Gaming, ISAGA, people, and learners together. Everyone is welcome to discover the future; so come, let's gather in Thailand!!! d. S&G for practical design of environmental, social, industrial, political issue. For Paper and workshop, it is required to submit one-page abstract (Format Free), to ensure the quality. 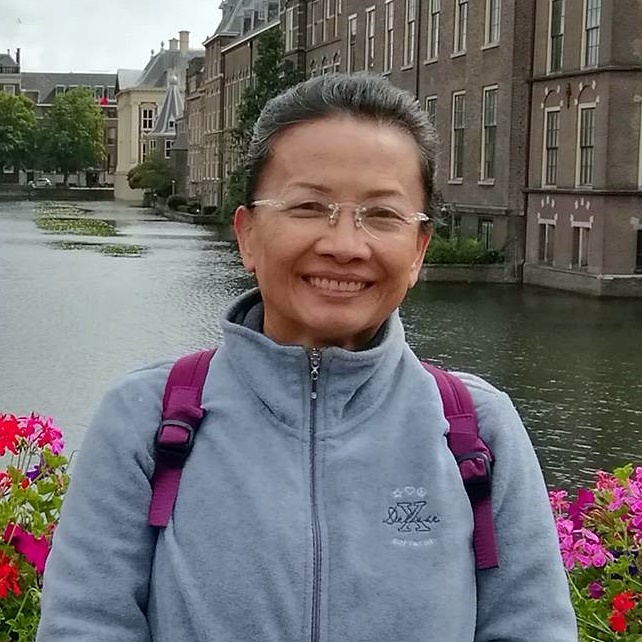 Full papers (5-8 pages) which are accepted by peer reviewers will be published in proceedings or Springer “Translational Systems Sciences Series for selected papers” as post-proceedings depends on its quality. All paper and workshop submission remains a right to attend a poster session as well. Travel The conference will be held at Mahidol University in the Faculty of Liberal Arts (MULA) which is located at Siriwittaya Building, in Salaya Campus, Nakhon Pathom Province. Travel from airports in Thailand to Salaya, Nakhon Pathom Province From Suvarnabhumi Airport By public transport Airport Rail Link or Suvarnabhumi Airport City Line (SA City Line) departs from Suvarnabhumi station to Phaya Thai Station every 30 minutes and take approximately 23 minutes. Single tickets cost about € 1. Exact times and fares can be checked at (Click here) Airport Rail Link station can be entered from the airport main hall.